I made this cake for my sons 4th Birthday. 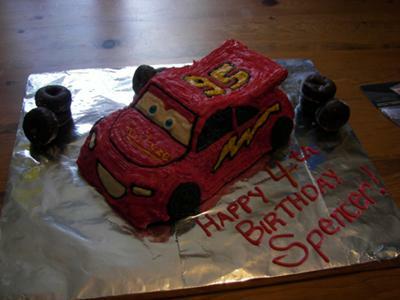 I used a cake pan the shape of a car, and used chocolate donuts for the spare tires. That is sooooo cool! Well done!